The Ford Aspire was launched in India in 2015 and the car is expected to receive a facelift later this year. With the end of current model's production, the company could be making way for the Ford Aspire facelift. Ford Motor Company seems to have ended the production of the current Aspire sedan at the Sanand plant in Gujarat. 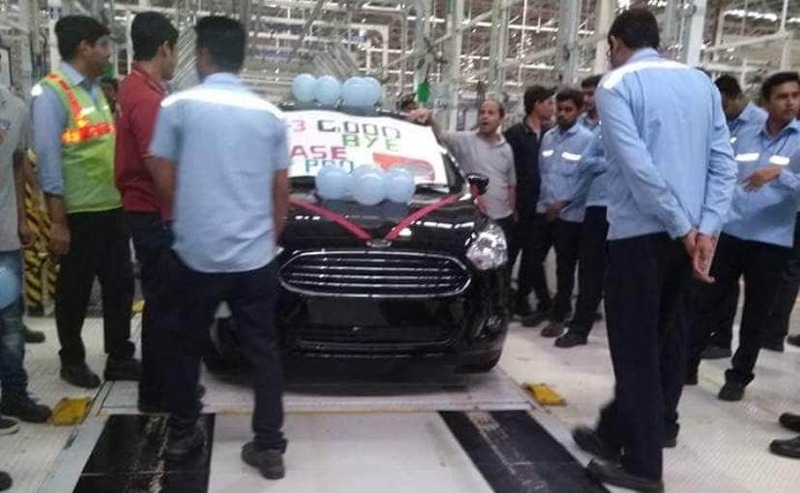 A few recently surfaced images, which appear to have been taken inside the manufacturing facility, show the last unit of the current Ford Aspire being rolled out of the production line. The hand-made banner on the car's windscreen suggests that the date is March 15, 2018, and also that this is the 3,01,394th units of the Ford Aspire. 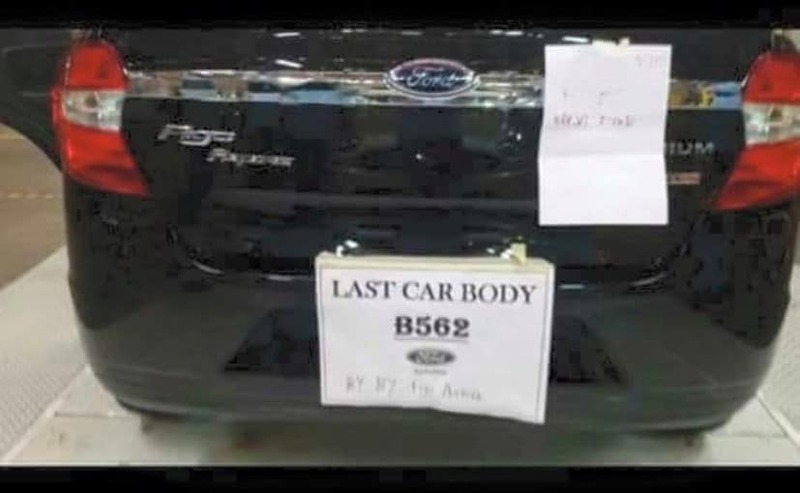 There is also a sticker on the rear bumper which comes with the lettering "Last Car Body B562". By ending the current model's production, the company could be making way for the Ford Aspire facelift which is set to be launched in India this year. When we reached out to Ford India, a company spokesperson responded to our email saying "There is no official communication on this subject", yet. However, some of the dealers we spoke to told us that they are right now only taking orders for the units that are in-stock and as of now no new dispatches are expected from the company. On the other hand, few other dealers claim to have not received any such information yet and are still accepting orders for new stocks. Ford India launched the Aspire sedan back in early 2015 as the Ford Figo Aspire. 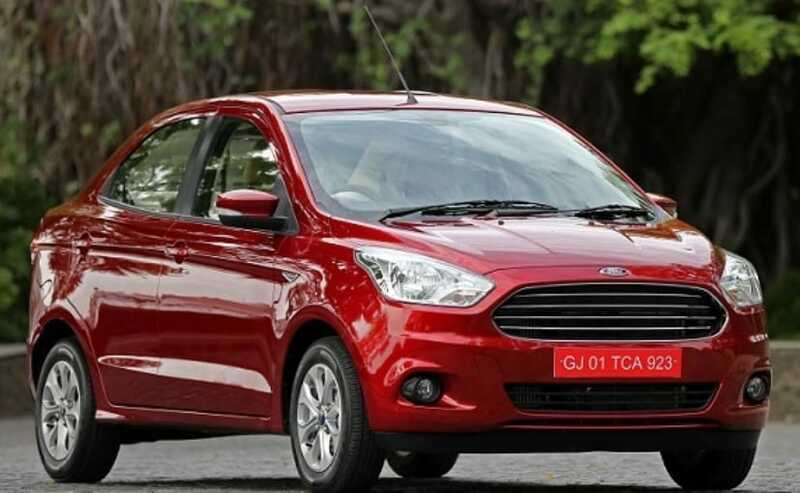 Early last year, the company dropped the Figo tag from the sedan's moniker and re-christened it Ford Aspire. The car has already completed three years in the Indian market and this the perfect time for the company to bring in the facelifted model. Especially, when you consider the fact that most of its rivals have already been updated and even Honda is set to launch the new-gen Amaze in the 2018-19 fiscal year. Now, we have already shared several spy images of the updated Aspire being tested on Indian roads, with the most recent one being a near-production model which was spotted early this year in January. We are expecting the car to hit the market by mid-2018, and one of the dealers we spoke to has told us that the Ford Aspire facelift could be launched in India by the end-of-May this year. Along with new cosmetic updates and styling, the car is also expected to get updated front and rear sections, new alloy wheels, and reworked interior with a new touchscreen infotainment system among other updates. Mechanically, the Ford Aspire facelift is expected to get the new 1.2-litre three-cylinder Dragon series petrol engine, which makes about 94 bhp and 115 Nm of peak torque. The engine is set to debut in India with the upcoming Ford Freestyle crossover that is expected to be launched next month. The diesel version will continue to feature the 1.5-litre four-cylinder engine will continue to serve with 99bhp and 200 Nm of peak torque. Transmission duties will be handled by a 5-speed manual gearbox and possibly the 5-speed automatic torque converter, also from the EcoSport.